Tinguely was obsessed with motor-racing and was close friends with several drivers, at least two of whom died during races. 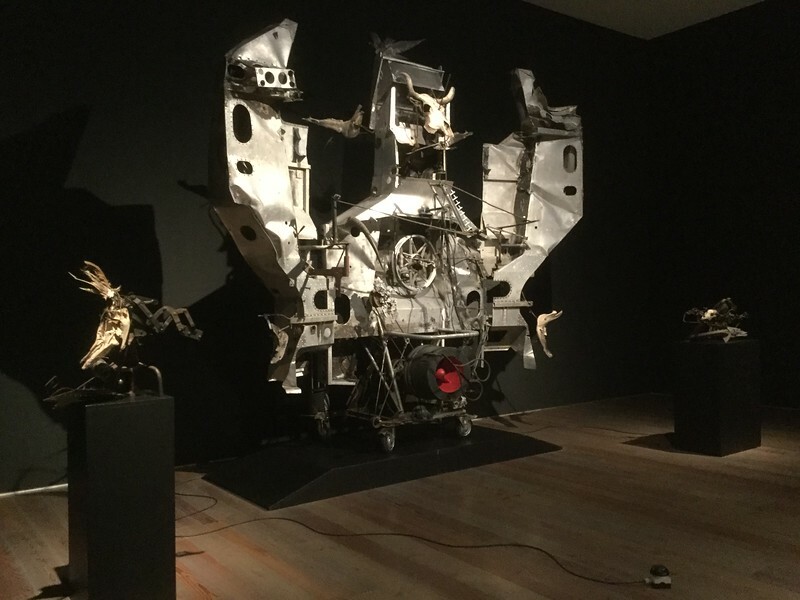 This is a memorial to a friend who died while driving a Lola car, and is constructed from two Lola cars that I think Tinguely already owned before the accident. When the sculpture is activated, the wings move slowly back and forth through about 5 degrees; it was very sombre and effective.